Eric and Stephanie, both teachers in our local school district, and Sveta, 5 years old, adopted from Ukraine in the summer of 2017. We lived in and traveled some around Asia for two years early in our marriage and saw what true poverty looked like for many kids, especially those without a place to call home or mom and dad to love and care for them. We started to think about adopting sometime in the future and a couple years later we felt called to start our family through adoption. We choose to adopt from Ukraine because the process had a shorter timeline and the requirements were easy to meet for a young couple. There was also a great need for families to adopt older children which we were open to. 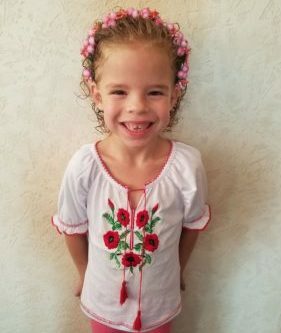 We choose to use MLJ Adoptions because they were very responsive to all of our questions and inquiries early on before we decided for sure on Ukraine and continued to be very responsive to all of our questions and needs throughout the entire process. The biggest surprise about the international adoption process was how extremely exact every single document had to be and how hard it was to wait on documents, especially when relying on other people to complete them, making sure every single thing was perfect, waiting to hear about approval and travel. We were in Ukraine for 9 weeks. We went to receive a blind referral so had no idea who we would be bringing home (or if we would even be bringing a child home). It was a very LONG 9 weeks but worth every minute of it. The two facilitators we worked with in country were amazing and did everything for us (lodging/travel arrangements, paperwork, etc. ), making everything seem to go as smoothly as possible. We met our daughter for the first time a few days after learning about her and accepting her referral. After she came in the room for the first time at the orphanage, we knew immediately she was our daughter. One of the caretakers told her to shake each person’s hand and introduce herself. Stephanie was the last one in the line of people and after shaking her hand Sveta didn’t let go. She kept holding Stephanie’s hand and within a few seconds had climbed up into her lap, still holding onto her hand. When we went back to the orphanage for another visit that evening, when Sveta first came outside where we were waiting she came running towards us, threw her arms around Stephanie’s neck and called her mama. We visited her once or twice a day, 6 days a week for the next five weeks before being able to finally take her from the orphanage. Even though there wasn’t a whole lot we could do during our short visits, it was valuable bonding time for the three of us. It was quite an adjustment for all of us after we finally got to take her from the orphanage. We quickly learned that all three of us needed to stay together to help her know we were all a family. If one of us left to go somewhere she would cry and cry and cry, shouting our name. We were so thankful to meet up with other adoptive families during our last couple weeks in Kiev so we could support each other and work through the adjustment and anxious waiting to get home together while our kids played together. Sveta has adjusted remarkably well. 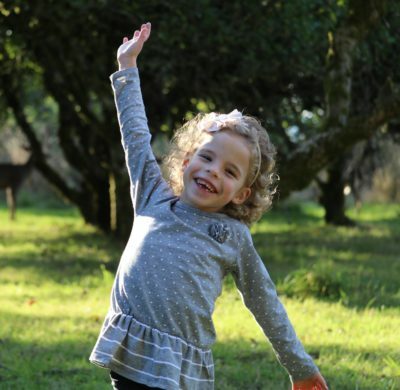 She started kindergarten a few weeks after arriving home and is now already at grade level with her peers in reading, writing, and math and has many friends at school. She is also becoming fluent in English at a rapid pace. She is a good eater (LOVES fruit and pretty much all things protein). When we were in country she had some major separation anxiety when one of us was not there, even for just a few minutes. Within a few days of arriving home that all seemed to disappear. She just seemed to know that this was her home and we were going to be her family forever. Bedtime has been our biggest adjustment issue and she still does not sleep in her own room at all, but we have learned to be flexible and meet her needs so we can all get a good night’s sleep! We have an incredible support system in our families and friends. Our families were supportive throughout the process and ecstatic to meet her when we arrived home. They showered us with things Sveta would need after arriving home and are always willing to help us with whatever we need as we all adjust to this new life. The stress and the waiting is so worth it!! 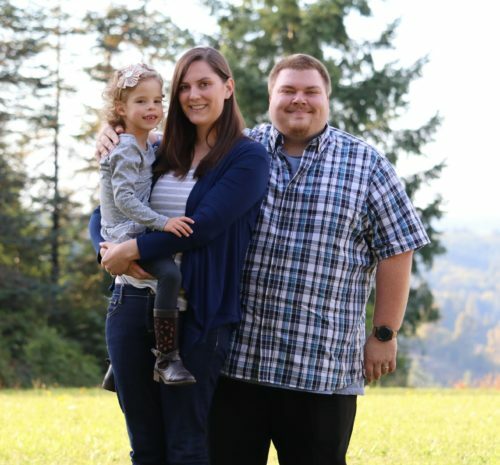 We look at our daughter every day and can’t believe how blessed we are to have her, all because we took a leap of faith and believed this is what we were supposed to do, even to the point of getting on a plane and planning to be in a foreign country for upwards of two months with no idea of who our child was. And the daunting issue of finances will always come through in some miraculous way. If you’re interested in learning more about adopting from Ukraine, contact us.